Welcome to Storage King! We are a locally owned and operated since 2004. Storage King is a proud member of Rockingham County, New Hampshire. Offering self storage units in Exeter and conveniently located to Brentwood, Epping, Newfields, Stratham, East Kingston, and Kensington. We are easily accessed from both 101 & I-95! Offering a large selection of unit types from non-climate drive-up units that are easily loaded and unloaded from your vehicle to climate controlled and humidity controlled units. 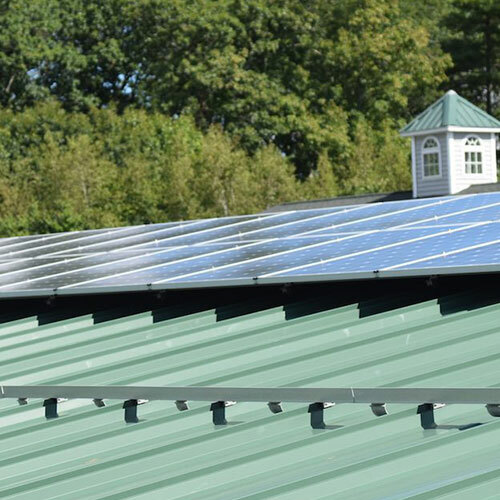 We proudly use solar panels to power our facility! Whether it is household, business, inventory, student, temporary or long term storage we are here to make it convenient and stress-free to rent the right unit for your storage needs. Have questions? Our family looks forward to working with you. give us a call! To get started simply call (603) 772-4500, or (603) 396-2706 after normal business hours, or click below to use our handy contact form!